Branding is an extremely important part of business in today’s world. Successful marketing campaigns and strategies create memorable brands that stick in the minds of customers for years. In order to establish your brand, you’ll need to maintain a sense of consistency. It can be tempting to constantly reinvent your brand, but this can also be bad for business. Follow these 5 tips to keep your brand message consistent and guide your business toward success. It’s all to easy to let your brand slip away from you. Brands tend to grow organically, which can be either good or bad depending on the scenario, but you always want to make sure that your brand’s growth is under your control. Perform evaluations regularly to make sure that your brand is staying true to your original intentions. Brands require focus to grow in healthy directions, so always make sure to keep a close watch on your brand to stay consistent with your goals. Your business is going to need a presence across multiple platforms in order to reach the widest possible audience. You should have, at the very least, your own website, a blog, a Facebook page, and a Twitter account. It is important to project the same brand image and message across these platforms, so be sure to keep your visual design as similar as possible. Display your logo prominently and use the same banners and images when possible. If your visual representations are not consistent, you’re bound to stir up confusion, and this is always bad for business. Remember always that your business is an extension of yourself, not some lifeless entity that exists solely to make money. While generating a profit is important, it is equally important to make your business and your brand an expression of your personal vision. Your vision is the one thing no one can ever take away from you, so make sure to let it shine in your branding. When all else is in flux, your personal values and goals should remain consistent. Maintain regular contact with your customers. One of the best things you can do for your brand is to be consistently outgoing. 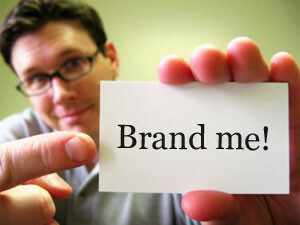 This will give your brand a friendly and personal image, which is something highly valued by customers. Start a mailing list and write up regular news letters. Publish blog posts and send out tweets to your followers. Encourage your customers to try Couponloco.com to take advantage of special offers. Staying in touch with your customers lets them know that you’re consistently there for them. When you establish a brand, you are essentially endowing your business with a personality. One of the most important things you need to accomplish this task is a voice. Decide on a tone which you will use in all of your brand’s press releases, news letters, blog posts and so forth. Your customers need to feel like they’re hearing from the same person when they read from your brand. Give your brand a voice and let it speak loudly to keep your brand messaging consistent and successful.